During 23-25 october Edvirt joined BASF for a sprayed concrete workshop in Switzerland. 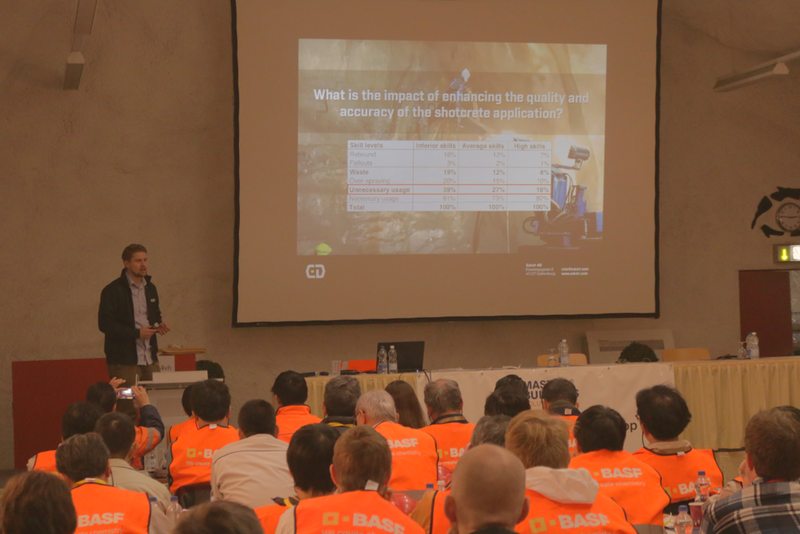 The workshop was held in Hagerbach Test Gallery, a showcase tunnel for research and development in underground mining. Edvirt had the opportunity to showcase our shotcrete simulator and talk about the importance of training. The event also included cement and accelerator reactivity testing, concrete mixing and a spraying demo with Atlas Copcos ME5.